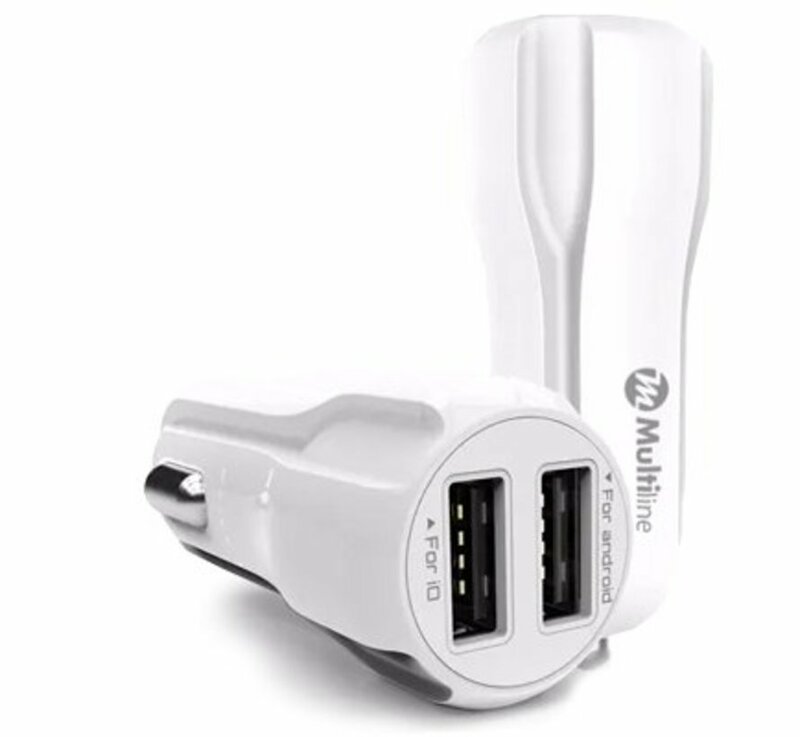 The Multiline Dual Power Car Charger 2.4A White is there for anyone who is often on the go with the car. With this charger from Multiline your OnePlus will not be without power and thanks to the double connection your passenger can also charge directly. 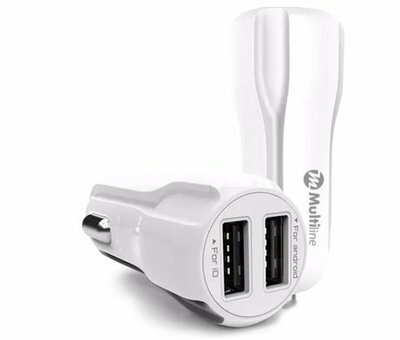 The Multiline Dual Power Car Charger 2.4A White is there for anyone who is often on the go with the car. With this charger from Multiline your OnePlus will not be without power and thanks to the double connection your co-driver can immediately charge his or her phone. Often, a car charger with 2 ports has 1 ampere and a 2.1-2.4 ampere output value. This means that one port charges a lot slower than the other. However, this is not the case with the Multiline Dual Power Auto Charger 2.4A White. 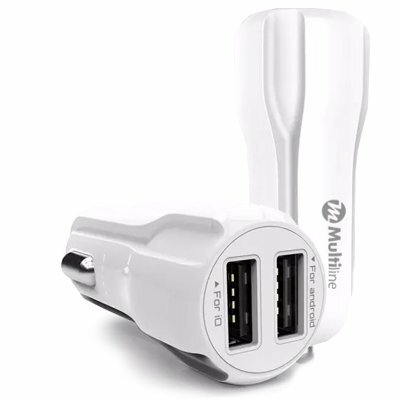 This car charger has no less than 2 ports that can each supply a maximum of 2.4 amps. Allowing you to charge 2 devices simultaneously in no time. In addition to the fast charging characteristics of this Dual Power car charger, there is also thought about the design. High-quality materials ensure that the car charger will last a long time, without having to worry about the speed and safety of the product. The white color of the Multiline Dual Power Auto Charger 2.4A gives it a stylish appearance, and the finish exudes pure quality. Do you also like to listen to Spotify via your mobile, view our bundle deals below. 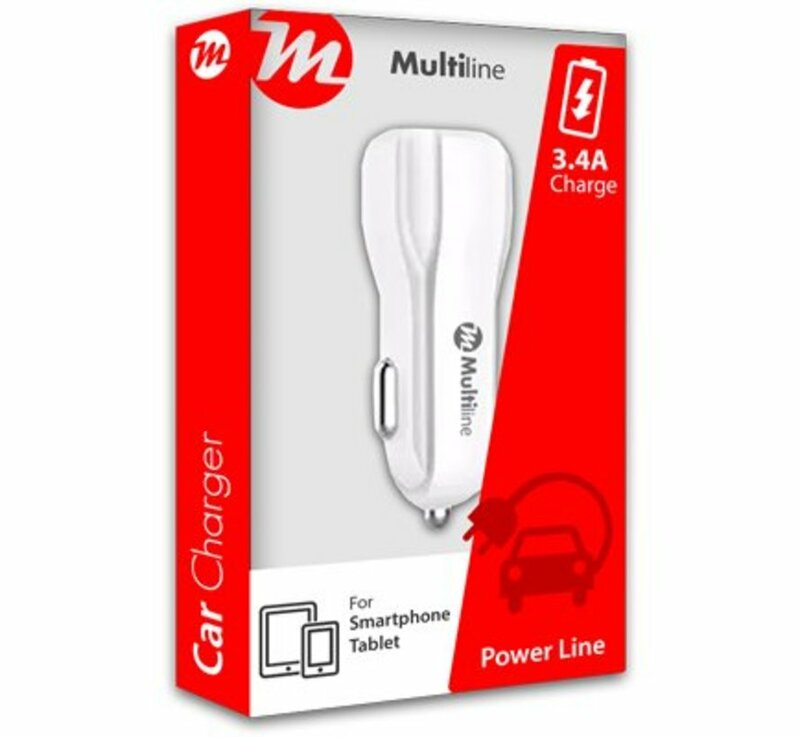 Purchase this car charger together with the Multiline Aux Cable 1.5m and connect your smartphone easily and quickly with your car radio. And do you have a OnePlus with a Type C charging connector? 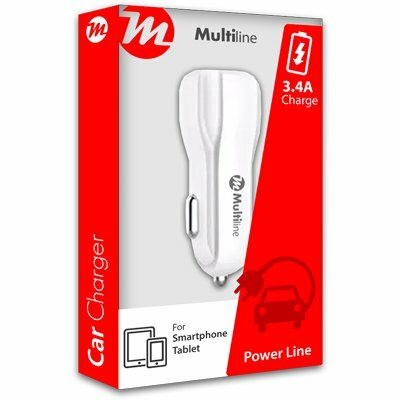 Then you choose the bundle in which we offer a Multiline USB Type C cable together with this car charger. You always receive a nice discount on both products in the bundle. Mooie compacte autolader, incl. apple lightning kabel. Doet wat ie moet doen. Aanrader! Snelle levering en het apparaat doet wat het moet doen! !